Microsoft Windows 10 1803 ISO (build 17107) files are now available for download. The new Redstone 4 preview build brings various bug fixes and improvements to the OS. This new build is introducing a change in behavior to Windows Update that is designed to be more proactive in keeping PCs updated. In RS4, now when Windows Update scans, downloads, and installs on a PC with AC power – it will prevent the PC from going to sleep when it is not in active use, for up to 2 hours when receiving an update in order to give Windows Update more opportunity to succeed. You can now download latest Insider preview build ISO images files for fresh installations. 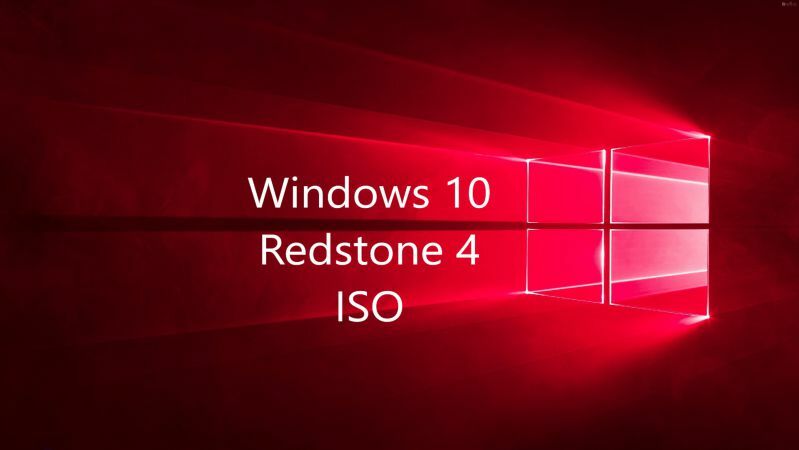 The new Windows 10 17107 ISO includes all Windows 10 editions including Home, Pro, Cloud, Enterprise and Education Editions in one single ISO file. Download the ISO files from the link below. Update 2: New Windows 10 1803 RTM ISO files are now available here.